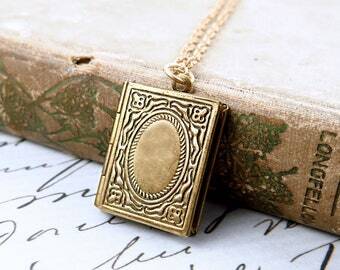 Please only complete if you purchased an initial with your locket and write that letter here. If you purchased 2 photos please email me those to laurenbdesigns@gmail.com in JPG format. 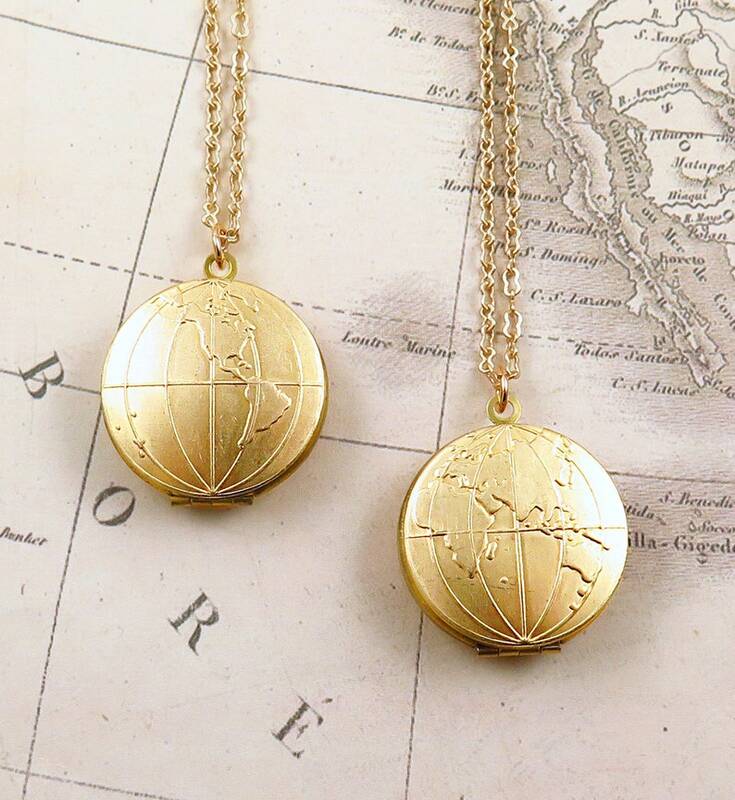 This world map globe locket necklace is the perfect gift for the traveler, a going away gift, graduation gift or a bon voyage gift! The map features your choice of either the Eastern or Western Hemisphere on the front of the locket OR you can choose both, one on each side of the locket so you have the world! This design is raw brass (gold color) and lead and nickel free. 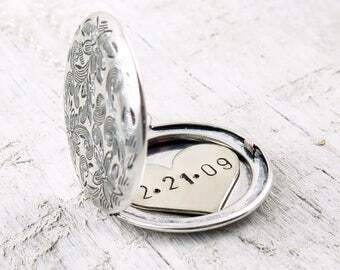 The locket opens up and down, pocket watch style. 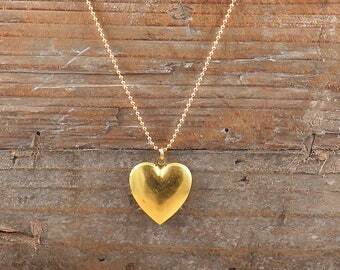 Hangs on a beautiful high end peanut style antiqued brass gold chain. You can also choose more personalization with a hand stamped heart initial to add to the front. 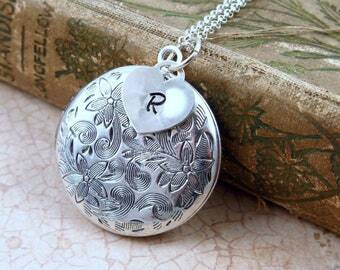 You may also choose to have me add 2 photos to the locket for you as well! PLEASE NOTE: IF YOU CHOOSE EAST/WEST TOGETHER, THE WESTERN GLOBE IS ON THE FRONT OF THE LOCKET, AND THE EASTERN GLOBE IS ON THE BACK OF THE LOCKET. THAT WAY YOU HAVE THE WORLD. 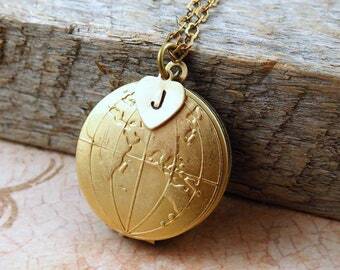 The locket necklace with the globe design was beautifully crafted, and shipped very quickly after purchase. Excellent option for a gift to a special person who loves to travel! 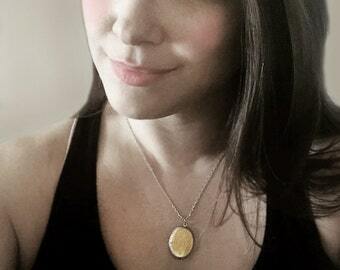 The necklace was as pictured and I have gotten lots of compliments on it. The necklace does begin to tarnish quickly but I like the way it looks. I think it adds a rustic/antique look to it.